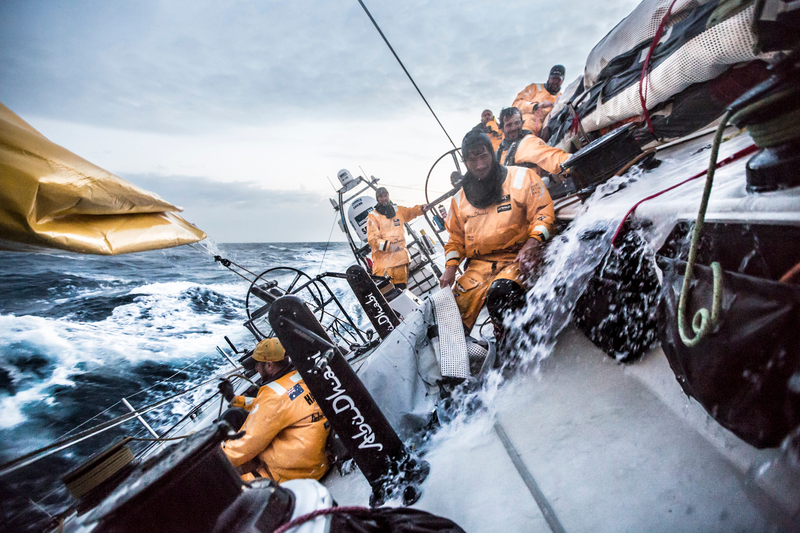 Itajaí was gearing up for a thrilling finale to one of the most closely contested Southern Ocean/south Atlantic legs in the 41-year history of the Volvo Ocean Race with four boats still in with a chance of an epic victory on Sunday evening. 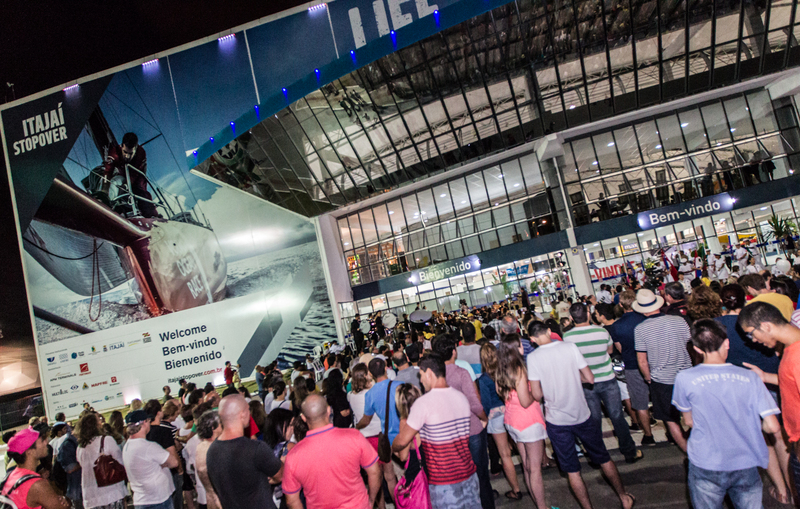 The south-eastern Brazilian port is already a major centre of race fans following the last visit in 2011-12 when tens of thousands turned out to greet the boats into their harbour. Sunday’s climax to three weeks and 6,776 nautical miles (nm) of classic, rough ocean racing could well surpass that, with excitement in the city at fever pitch already. In 2012, PUMA were clear winners; this time it promises to be a four-way sprint all the way to the finish. 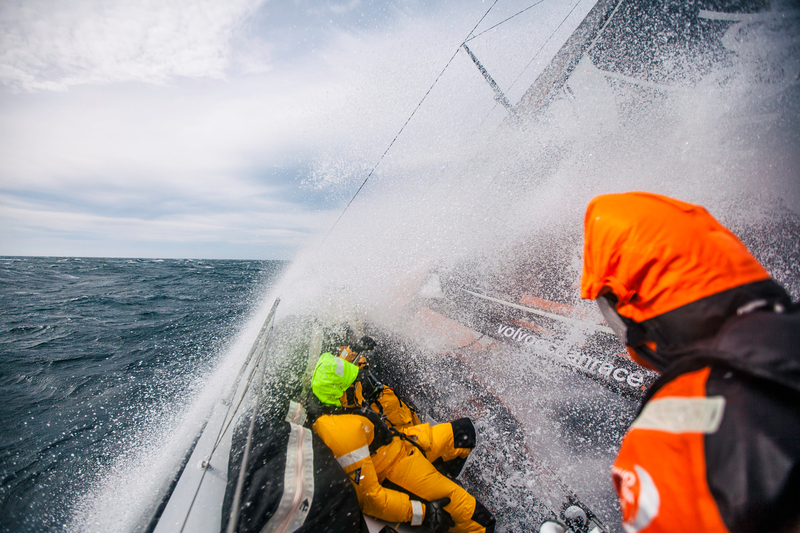 At 0940 UTC on Saturday, Abu Dhabi Ocean Racing (Ian Walker/GBR) still had their noses just in front, but an incredibly tight 6.5nm separated them from fourth-placed boat Team Brunel (Bouwe Bekking/NED) with MAPFRE (Iker Martínez/ESP) and Team Alvimedica (Charlie Enright/USA) sandwiched in between (see panel above). The leg, from Auckland, has once again lived up to its notorious reputation as a real boat-breaker. 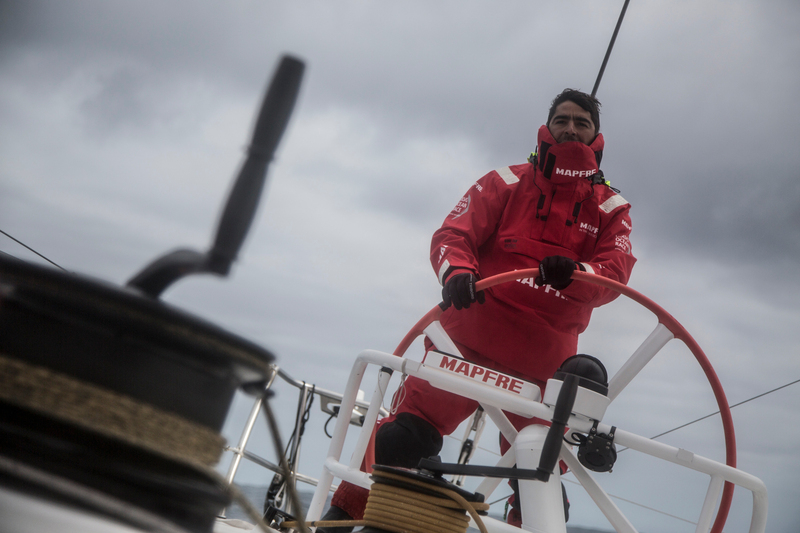 Dongfeng Race Team (Charles Caudrelier/FRA) were forced to retire from the stage midweek after breaking their mast on Monday. They are currently making their way to Itajaí, under sail and motor, in their own race against time to refit a new mast ready for Leg 6 to Newport, Rhode Island, on April 19. 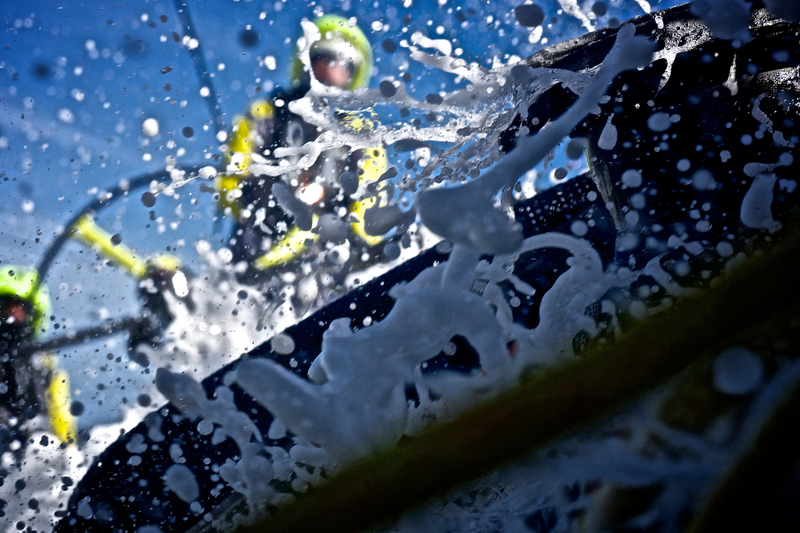 They join Team Vestas Wind (Chris Nicholson/AUS) as temporarily out of the race with the Danish boat currently undergoing a rebuild at the Persico boatyard in Bergamo, Italy, with the aim of returning to action for Legs 8 and 9 in June. At the back of the racing fleet, Team . SCA (Sam Davies/GBR) continue to battle on doggedly following damage to three sails, but higher pressure for them cut dozens of nautical miles off their deficit and at 0940 UTC, they trailed by around 585nm. Team Brunel, meanwhile, added to the growing list of repairs needed in Itajaí when their key J1 sail ripped for the second time overnight. Louis Balcaen (BEL) conceded: "This is a downer: We were doing so well; we really, really came back. And now we will miss the main sail! Acid! But we'll find something else!" The leading boats are expected to arrive in Itajaí from 1900-2100 UTC on Sunday with tough conditions continuing to the last (see latest Watch Log). They have one more major tack to take, midway through Saturday, before reaching Brazil. 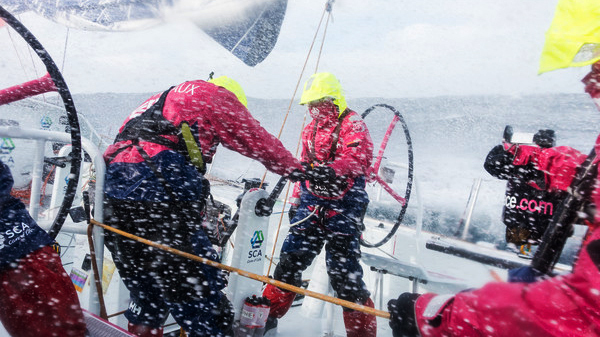 Team SCA are expected to complete the most testing of all nine legs a little over 24 hours later. Victory would give Abu Dhabi Ocean Racing a seven-point lead at the top of the standings, but with four legs to go of the 38,739nm marathon there’s still all to sail for before offshore sailing’s leading challenge finishes on June 27 in Gothenburg, Sweden.